This stone cross with kerb stones, in the parish area of St Edward, is located on the second row west of the central path, 25 yards north of the centre circle. 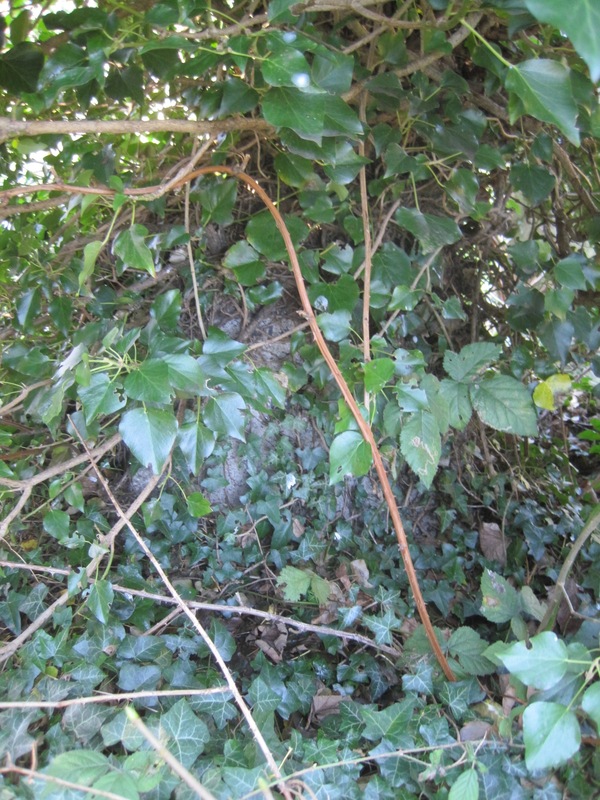 The monument is entirely concealed within a large bush, as the accompanying photograph shows. Martha Deck (née Bromley) was the wife of Reginald Deck, and Agnes Bromley was her sister. Agnes was born in the first quarter of 1877 in Lambeth, London, daughter of Alfred Bromley, hatter, and his wife Martha. 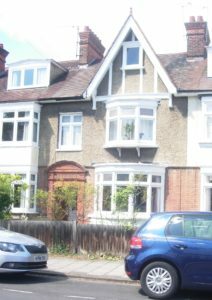 The family lived at 38 Renfrew Road, Lambeth, and Agnes had six siblings: William (c.1865‒), James (c.1868‒), Alfred (c.1870 ‒), Elizabeth (c.1872‒), Maude (c.1874‒) and Martha (1879‒1935) (see below). In 1901 an Agnes Bromley was serving as a housemaid to the wealthy solicitor Charles Jones and his family at Russell Farm, Watford. On the day the 1911 census was taken, Agnes was staying at 1 High Street, Purley, Surrey with her sister Maude, who had married Frederick Crabb, draper, in 1901. Agnes’s occupation at that time was given as ‛hairdresser’. At some point after that she must have joined sister Martha and Reginald Deck in Cambridge, for 28 Tenison Avenue is given as her address at the time of her death. Agnes died on 21 March 1928, aged 51, and was buried on 24 March in Mill Road Cemetery, in row XXXII of the St Edward parish area, plot 8 at a depth of 8 feet. She died intestate, and administration awarded effects worth £657 172. 6d. to Martha Deck. Reginald Deck was born in Cambridge on 25 March 1877, and baptised at St Edward’s Church on 22 April of that year, son of Arthur Deck, chemist, and his second wife Charlotte. Reginald had four siblings, one of whom had died by the time of Reginald’s birth: Herbert (1872‒), Godfrey (1875‒76), Charlotte Lilian (c.1879‒1916), and Kathleen Valetta (c.1882‒1963), and at least one surviving step-sibling from Arthur’s first marriage, Frederick (1862‒98). The household lived at the family pharmaceutical business, 9 King’s Parade (opposite King’s College). By 1901, Reginald was working as one of four assistant chemists to the druggist and chemist John W Berren at the fashionable address of 13 Curzon Street, Mayfair, London. Reginald married Martha Bromley (see below) on 4 August 1907 at Christ Church, Purley, in Surrey. By 1911 they were living at 88 Market Street, Eastleigh, in Hampshire, where Reginald now had his own pharmaceutical business. Arthur Deck, proprietor of the family business at 9 King’s Parade, had died in 1903. The family home at 28 Tenison Avenue was vacated by 1922 (Kathleen Valetta married in 1913, Charlotte died in 1916, and Charlotte Lilian married in 1922). This may have been the time at which Reginald and Martha moved to Cambridge to occupy that house, and Reginald to establish a chemist’s shop at 30 Regent Street. That was the state of affairs in 1935 when Martha died. Reginald married for a second time in the second quarter of 1936, his bride being Ethel Doris Andrews (1902‒2004), daughter of Arthur Joseph Andrews, clothier and draper, and his wife Ellen, of 11 Perowne Street (Petersfield), Cambridge ‒ at age 34 younger than Reginald by 25 years. Reginald died in Addenbrooke’s Hospital, Cambridge on 23 May 1959 at the age of 81 or 82, his home address still 28 Tenison Avenue. The date of interment is not recorded in the burial register or grave book, but his body was placed in row XXXII plot 8, presumably at a depth of 6 feet. In his will he left effects worth £2,282 2s. 10d. to his widow Ethel, who outlived him by 45 years, dying in Norwich at the age of 101. Martha Bromley was born in the first quarter of 1879 in Lambeth, London, daughter of Alfred Bromley, hatter, and his wife Martha. The family lived at 38 Renfrew Road, Lambeth, and Martha had six siblings: William (c.1865‒), James (c.1868‒), Alfred (c.1870 ‒), Elizabeth (c.1872‒), Maude (c.1874‒) and Agnes (1877‒1928) (see above). Martha was presumably still at home and in school in 1891; but in 1901 she may possibly have been working as a lady’s maid to Sophia, Countess of Roder, at 27 Hill Street, St George’s Hanover Square. Martha married Reginald Deck, chemist (see above), on 4 August 1907 at Christ Church, Purley, in Surrey. By 1911 the couple were living at Reginald’s chemist’s shop, 88 Market Street, Eastleigh, in Hampshire. They moved to Cambridge and took up residence in the family home at 28 Tenison Avenue, presumably (the precise chronology is unclear) in or some time after 1922, Reginald establishing business premises at 30 Regent Street. 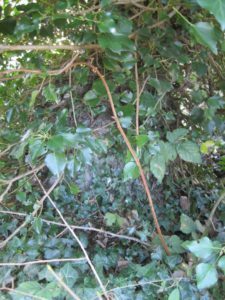 Martha died in Cambridge on 10 January 1935 and was buried on the 14th of the month in Mill Road Cemetery, in row XXXII of the St Edward parish area, in plot 8 at a depth of 7 feet. In her will she left effects worth £734 6s. 4d. to her husband Reginald. Rightly or wrongly, the address given for her in the burial register is 97 Tenison Road. For three other graves containing members of the Deck family, see Emma, Isaiah and Susan Deck, Alice Mary, Arthur, Charlotte, Edward Isaiah, Frederick, Godfrey, John and Maria Deck, Agnes Charter, Alfred David Deck, Alfred Norman and Kathleen Valetta Mason.